Professor Emeritus of Education Thomas M. Elmore (’56), who founded Wake Forest’s counseling program, died on Oct. 29 in Winston-Salem. Elmore, who was 85, is survived by his wife, Ruby (’55); four children, Angela Atkins (’83), Glenda Inabinet, Gail Simpson and Michelle Akamine (’94); a brother, Joseph E. Elmore (’56); four grandchildren; and one great-grandchild. A memorial service will be held at 2 p.m. Friday, Nov. 2, at Knollwood Baptist Church in Winston-Salem. Memorials may be made to the Thomas M. Elmore Fund in the counseling department at Wake Forest or to the Celebration Mission Fund at Knollwood Baptist Church. View his obituary and sign his guest book. Elmore joined the faculty as assistant to the dean and assistant professor of educational and counseling psychology in 1962. 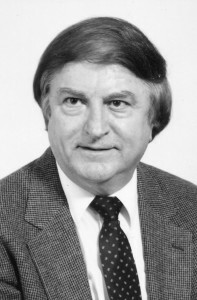 He founded the graduate program in counseling – housed at the time in the education department – in 1968 and directed the program until retiring in 1996. 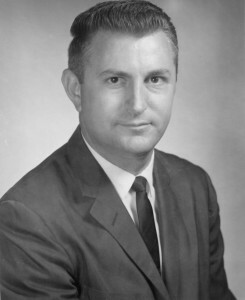 He was also dean of students from 1963 to 1971. Chair and Professor of Counseling Samuel T. Gladding (’67, MAEd ’71, P ’09), who took classes with Elmore when he was a student and later taught with him, said Elmore’s legacy lies in the counseling program and the 500 graduate students that he taught. The counseling program offers a two-year Master of Arts degree in school counseling or clinical mental health counseling. It remained part of the education department until a separate counseling department was created in 2003. The department offered mostly graduate-level courses until adding an undergraduate minor in 2010. Elmore, a native of Wilson, N.C., served in the U.S. Navy and enrolled in Wake Forest with his brother Joe. After graduating from the Old Campus – in the last class to graduate from that campus – he earned a master’s degree in psychology from Vanderbilt University and a Ph.D. in counseling psychology from The Ohio State University, and soon returned to Wake Forest. Provost Emeritus Edwin G. Wilson (’43), who was Dean of the College when Elmore was Dean of Students, said Elmore was a very effective dean during the turbulent 1960s, but he wanted to return to teaching full-time. “He was a dedicated teacher and someone who wanted to build the counseling program and saw the possibilities in that program,” Wilson said. 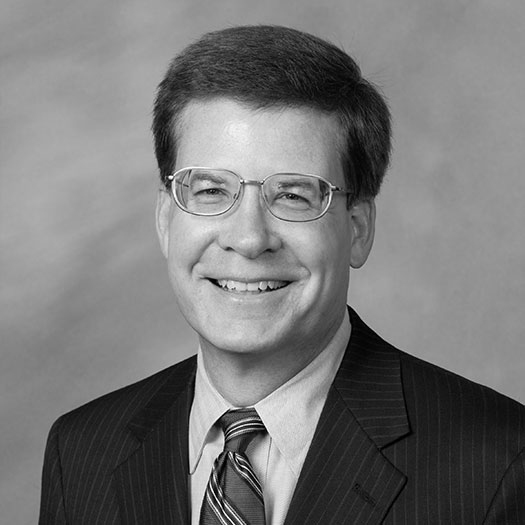 He served on the boards of directors of the North Carolina and Forsyth County Mental Health Associations. He also chaired a state committee to develop guidelines for school counselor education in the mid-1980s.